Heaven Lake is a crater lake on the border between China and North Korea. 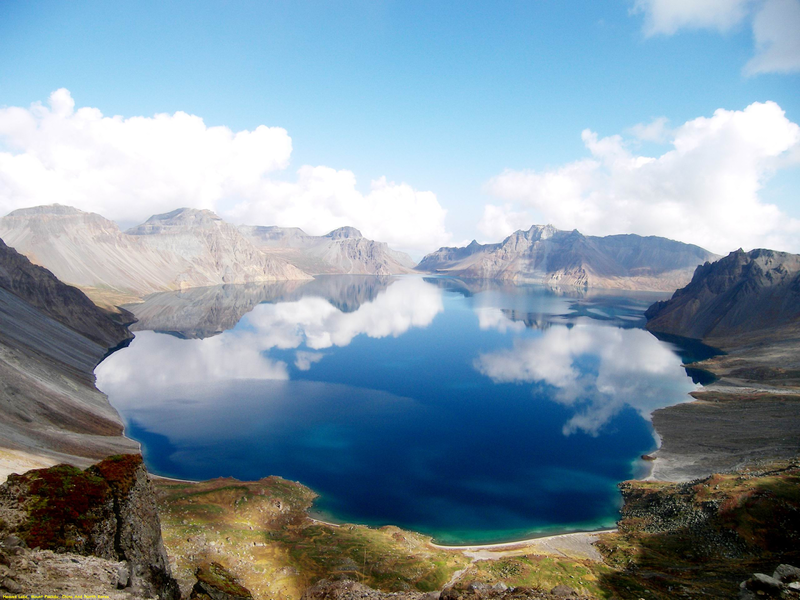 It lies within a caldera atop the volcanic Paektu Mountain, a part of the Baekdudaegan mountain range and the Changbai mountain range. It is located partly in Ryanggang Province, North Korea, at , and partly in Jilin Province, northeastern China. The lake covers an area of 9.82 km2 (3.79 sq mi) with a south-north length of 4.85 km (3.01 mi) and east-west length of 3.35 km (2.08 mi). The average depth of the lake is 213 m (699 ft) and maximum depth of 384 m (1,260 ft). From mid-October to mid-June, it is typically covered with ice.